The current quail research program at the Institute began in 1999 when Dr. Fidel Hernandez was hired. He reorganized the South Texas Quail Research Project, which was initiated in 1998 with the mission to collect sound, scientific data regarding bobwhite ecology and management while providing land stewards with accurate information regarding bobwhite management and life history. Specifically, the project involves monitoring bobwhite populations year round via radiotelemetry. 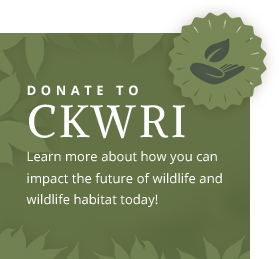 Bobwhites are fitted with a radio-transmitter and monitored two to three times per week to document general life history activities such as movement, survival, and nesting. The project addresses various research questions that provide graduate students with the opportunity to collect data on numerous parameters that affect bobwhite populations in south Texas. Ultimately, the results of these research projects will be synthesized into a population model that will help land owners, managers, and biologists better understand and manage bobwhite quail populations in south Texas. During 2001, Dr. Leonard Brennan was hired to fill the endowed chair position and initiated projects on nest predation, Hunter-Covey Interface (HCI), and organized the Quail Associates Research Program with the help of his first graduate student, Jason Hardin. The Quail Associates Program is a network of citizen scientist ranch owners who donate dollars and data to help understand annual changes in quail productivity across south Texas. More than twenty ranches annually donate wings from hunter-harvested quail. This allows scientists to calculate juvenile to adult ratios which is a direct estimate of annual population productivity. This is the first time that such a data set has been collected in south Texas. Now in its sixth year, the Quail Associates Program has examined the relationship between habitat conditions and population productivity. The program has also provided samples that were used for the first ever landscape scale assessment of the genetic structure of quail in south Texas. Other Institute faculty also conduct important quail research. Dr. Timothy Fulbright is studying the role of buffelgrass on quail habitat use. Dr. Scott Henke has investigated impacts of aflatoxins on bobwhite physiology. Dr. Alan Fedynich continues to conduct an integrated series of investigations on the intestinal parasites of bobwhites and scaled quail. Dr. William P. Kuvlesky, Jr. has been instrumental in moving research forward on relationships between grassland birds, quail, and exotic grasses and brush management. Dr. Randy DeYoung has helped lead the way with several molecular ecology projects, including some ground-breaking investigations on northern bobwhites in south Texas and the endangered masked bobwhite in Arizona. During the past five years, the Institute has developed the largest, most comprehensive, and scientifically productive quail research program in the world. Drs. Leonard Brennan and Fidel Hernandez have worked together on the predation and HCI projects as extensions of the South Texas Quail Research Project, as well as projects that involve the role of invasive exotic grasses on quail abundance and production, and the effects of brush management on grassland birds, especially quail. Quail research at the Institute has entered into the world of molecular genetics with projects that are revealing the importance of dispersal and wide ranging movements as part of bobwhite life history. With two full-time scientists and several other Institute scientists also conducting quail related projects, we have developed a collaborative and flexible approach to seizing research opportunities when they become available. Given the widespread interest in south Texas quail and sources of available and potential funding, there are plenty of slices of the quail research pie to go around. 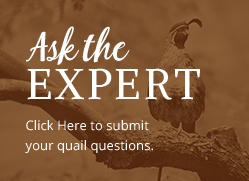 The primary, overarching question addressed by the Quail Research Program is: “What factors influence the abundance and productivity of quail populations in south Texas?” Most other quail research questions and hypotheses related to specific research initiatives stem from this central issue.